The company | Specialverktyg - Vi utvecklar, konstruerar och tillverkar skärande specialverktyg och detaljer till verkstadsindustrin i Norden. 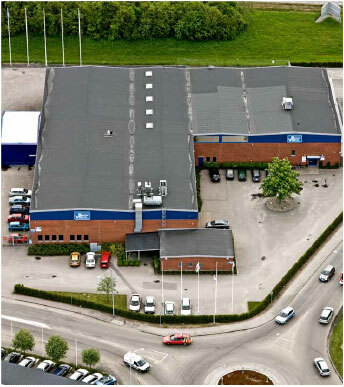 Specialverktyg in Norrköping AB is a nationwide company that develops and manufactures cutting special tools and components for the engineering industry in the Nordic countries. Our high level of expertise along with a high standard within the machinery and the quality of manufactured tools make us a competitive company. To maintain the high standard of our production so that we can continue to produce and supply high quality products to satisfied customers. High quality provides good customer relationships, profitability and potential for development of both the organization and the individual. One of several important conditions is that our staff receive appropriate information and training to enable them to perform their duties. Good relations should exist between the company and employees and its environment. The company was founded in 1992 by six members with broad expertise in the engineering profession. Since April 2004, Istvan Kasa owns and operates the entire company on his own. In 2005, Combi Tools AB got acquired and today we are 38 employees . We have access to high-quality production equipment. The company is housed, since spring 2006, in its own newly renovated premises on Risängen in Norrköping.